Directed by Vietnamese-French director Anh Hung Tran, whose works include “The Scent of Green Papaya” and “Cyclo,” the film is a multinational project starring Josh Hartnett and Elias Koteas in addition to Lee and Kimura. The thriller centers around ex-Los Angeles cop Kline (Josh Hartnett) who travels to Hong Kong in search of the missing son (Kimura Takuya) of a Chinese billionaire. Lee plays a role of a mafia boss in Hong Kong. With trailers released on April 18, it is scheduled to hit theaters in Japan on June 6. A large-scale premiere will be held in the island country, which all the stars will attend. Actor Lee Byung-hun has been visited by more than 2,000 Japanese fans nearly every day during his stay in Akita Prefecture, Japan to shoot his new drama “Iris,” his agency BH Entertainment said. Since the Korean actor arrived on March 9, the Japanese prefecture has seen many of his fans pour into the area from all over the country, filling up all hotels and motels although it is the off season, according to the agency. 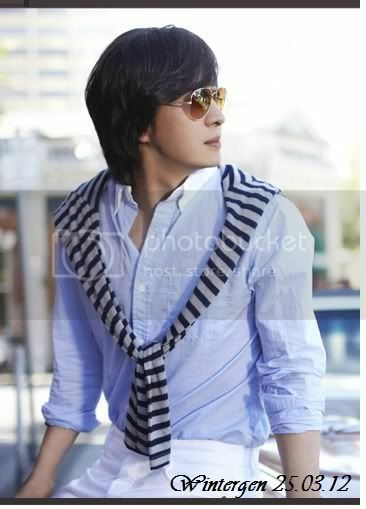 “Some 300 fans were even waiting for Lee at the hotel where he was staying from morning until evening. Lee had to hold an impromptu hand-shaking session for them almost every evening when he returned to the hotel after shooting,” the agency said. Lee returned home on Saturday to take part in local shooting here. A spy action drama with a budget of 20 billion won, “Iris” has a notable cast including actresses Kim Tae-hee and Kim So-yeon and actors Kim Seung-woo and Jung Joon-ho. The cast of the upcoming drama “Iris” just got stronger. Japanese actress Yoo Min (Fueki Yuko) is the latest to join the drama which already has a star-studded cast, that includes Lee Byung Hun, Kim Tae Hee, Jung Joon Ho, Kim Seung Woo, Kim So Yeon and TOP. According to press release from the production company on the 13th, Yoo Min will play an important member of the Japanese Defence Intelligence Headquarters, Sato Eriko. During the interrogation of the captured suspect Kim Hyun Joon (Lee Byung Hun), Sato Eriko discovers his extraordinary ability and thus releases him from the prison. In return, Hyun Joon has to accomplish a secret mission given to him. This project will be the collaboration between Lee Byung Hun and Yoo Min once again after a period of 6 years. They lasted acted together in the 2003 drama “All In”. “Iris” has began its filming in Akita Prefecture, Japan on the 10th with Lee Byung Hun, Kim Tae Hee and Kim So Yeon. Yoo Min, Jung Joon Ho, Kim Seung Woo and TOP will be joining the team some time this month. The Korean drama “Iris” starring top actor Lee Byeong-heon is expected to generate some 200 million yen (3 billion won) in economic benefits in Japan’s Akita prefecture, where it will be shot. Kyodo News says the prefecture officially announced the Korean drama will be shot there for 3 weeks from mid-March. Officials expect the economic effect will include a rise in tourist numbers. Scenes shot there will mainly focus on Lee, who is playing an intelligence agent fleeing Korea and infiltrating Japan. The production agency Taewon says Akita was picked for its snow covered scenery. As for the exact location in Akita, either Oga or Senboku districts will be the likely choice. Akita officials plan to form a corporate support team to help the shooting as well as a reception for the Korean actor. Accommodations for the drama’s 80 Korean staffers will also be provided for free. Meanwhile, Lee is returning to the small screen for the first time since the SBS hit drama “All In” 6 years ago. He will hold a large scale fan meeting in Tokyo on Feb. 28 — he will be meeting his Japanese fans more than one year after his LBH Arena Tour in late 2007. The “Discovery Channel,” a documentary TV channel, is to broadcast a program about Seoul and its residents. The Seoul metropolitan government said the production crew from the Discovery Channel had visited Korea recently to film a documentary about top Korean stars Lee Byung-heon and Rain against the backdrop of the Han River, Mount Namsan and the Myeong-dong and Hongik University areas. The program tells how the two have risen to stardom and gained recognition worldwide. Entitled “Hip Korea,” the program consists of two 45-minute parts. The one entitled “Seoul Vibes” introduces Rain, while the other one, entitled “Seoul Savvy,” is about Lee Byung-heon. The part about Rain shows the Hongik University, Cheongdam-dong and Chyeonggye Stream areas to introduce the dynamic side of Seoul, while the part about Lee shows Apgujeong-dong, Insa-dong and Samcheong-dong to introduce the serene and romantic side of Korea’s capital city. The show will air in Australia and New Zealand in January, in Southeast Asia in February and in Europe in May. A government official said the program is expected to improve Seoul’s image by showing off the city’s unique charms on the Discovery Channel.